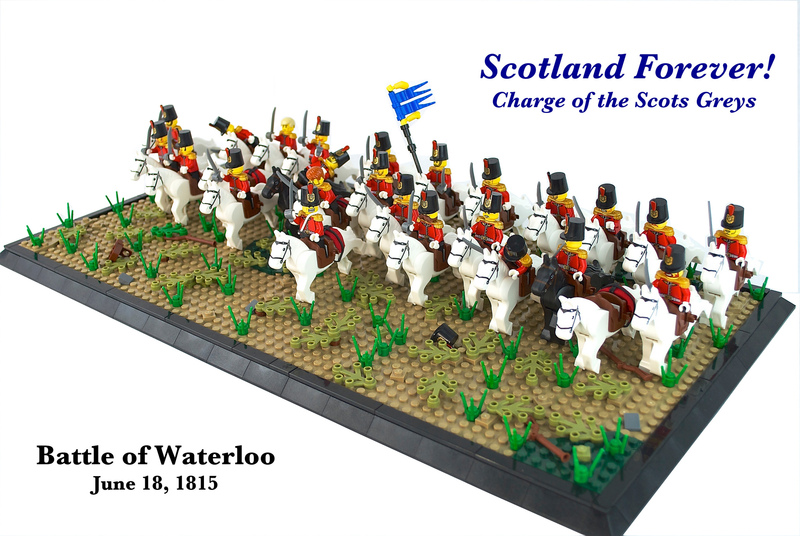 The charge of the Scots Grey (Scottish Cavalry) at the Battle of Waterloo June 18, 1815, is one of the most famous in history. 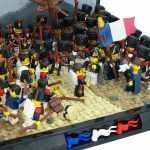 Initially reserved for battle, the officer British commander, Lieutenant Colonel James Hamilton, ordered the burden of his own act when he observed the British infantry begin to fall under the weight of the French striker. Overall, the attack helped turn the battle in favor of the English, but the unit was left in front of the main French lines. 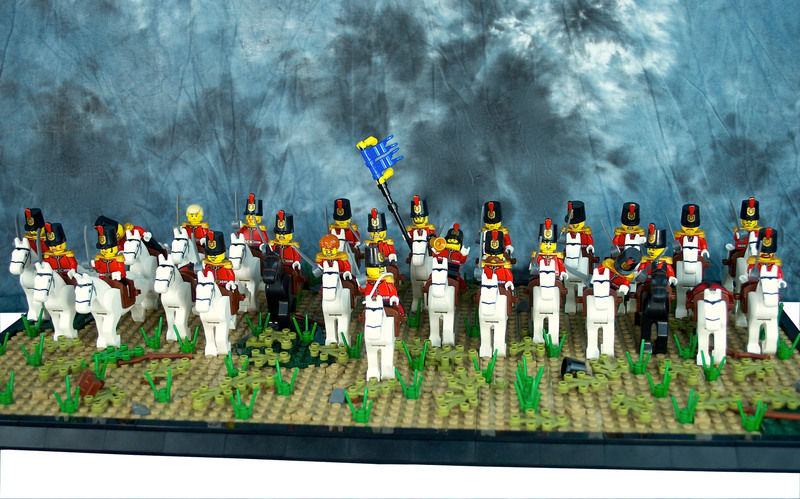 Disorganized and their horses breathless, the Scots Greys and the rest of the heavy cavalry were pounded by artillery, then surprised by an attack against French. 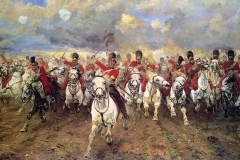 The survivors retreated to the British lines, harassed by the Lancers. 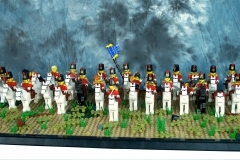 They eventually supported the rest of the UK online the best they could with their rifles. 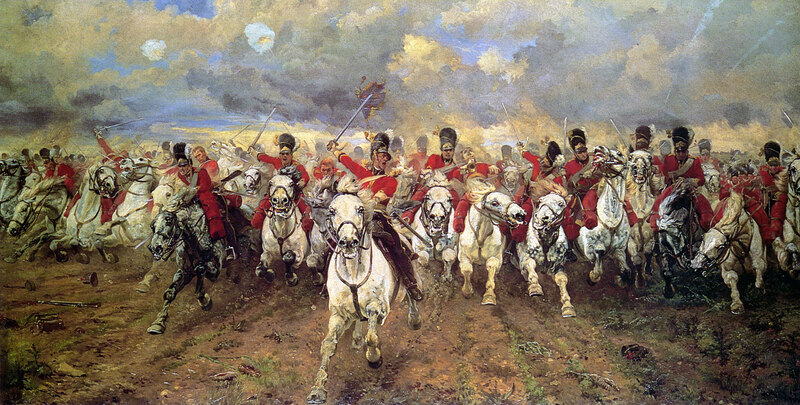 In all, the Scots Greys suffered heavy losses: 104 dead, 97 wounded and 228 of their 416 horses killed. The OMC was directed by Joshua in 2015 to celebrate the 200th anniversary of the Battle of Waterloo in 1815. He was inspired by the original painting of Lady Butler to format the Diorama.